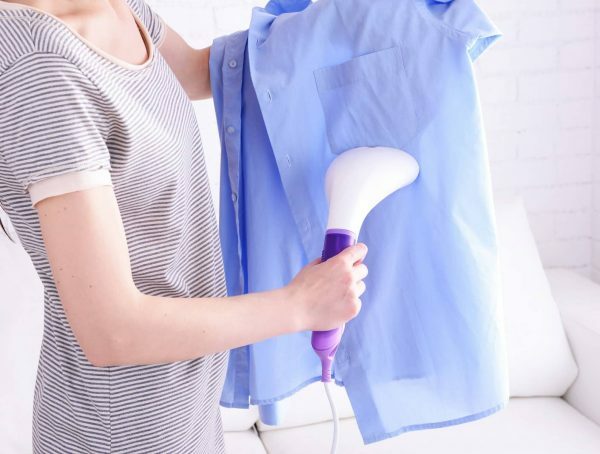 Special products for ironing can speed up the ironing process, make it convenient and comfortable, better iron clothes of complex design in the hard to reach places. But you should take notice of a few details at the purchase to choose an ironing board that meets all the requirements. There is a huge variety of ironing boards – from the simplest models to the latest ironing complexes. The main selection criteria are the number of clothes to be ironed and ability to place an ironing board in the apartment. 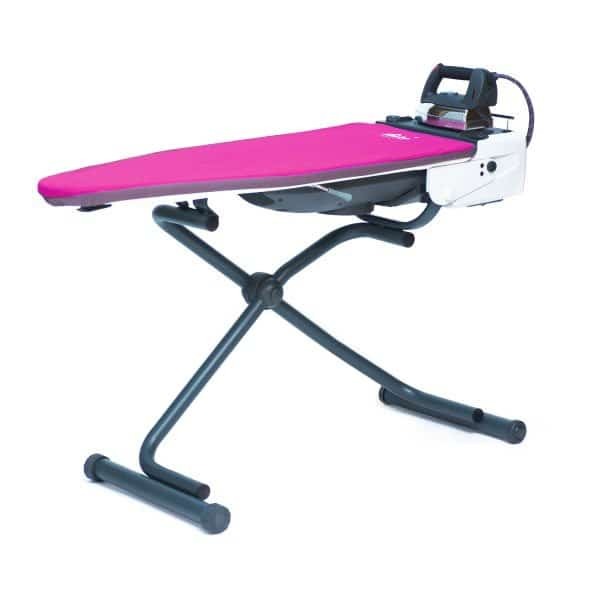 If there is a special room for washing and ironing, a solid and reliable stationary ironing board is a better option. For small apartments and temporary accommodation, we recommend a tabletop version. 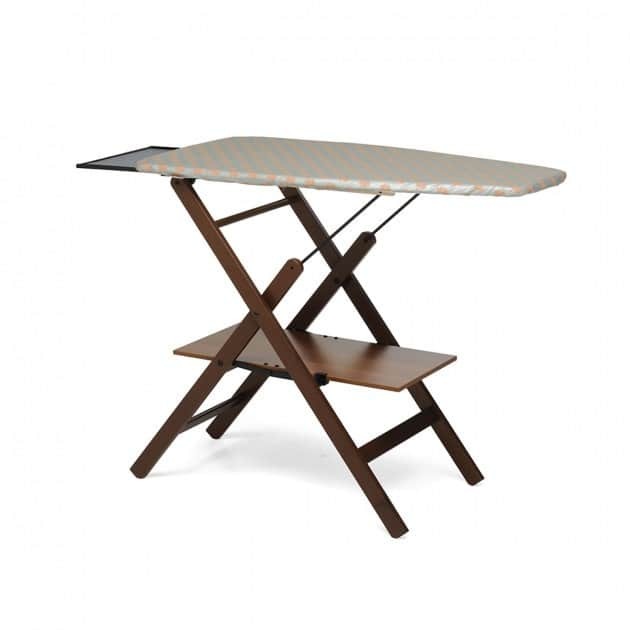 The most popular ironing boards are folding ironing boards with legs. 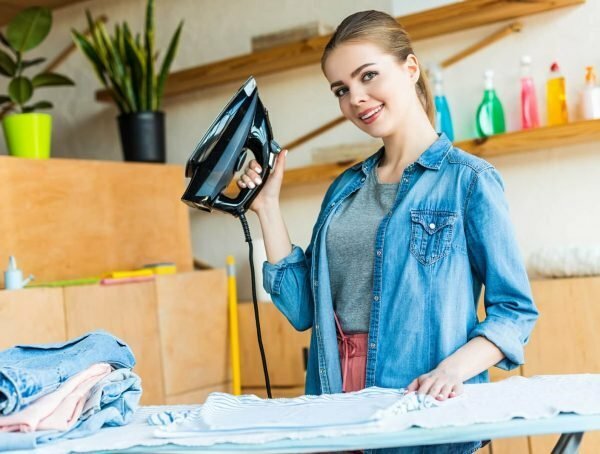 Tabletop ironing boards take up little space and are best if you need easy ironing of not heavily crumpled or small clothes. The simplest version is a cloth-covered plywood board with a cotton cover and foam underlay. There are ironing boards with small legs and without any. There are also brand boards, such as Foppapedretti Stirofast Naturale with a patented perforated base, non-stick coating and the effect of ironing from both sides at once. This is the most common type of ironing boards. They have different shape of legs, material, coverage area and additional functions. Floor stationary ironing boards are solid and reliable, but take a lot of space. They are installed where there is space for them. Wall-mounted ironing boards are attached to the wall, can be folded in half, and thus save space. They are easily unfolded, but the drawback is an inability to adjust the height. Built-in ironing boards – folding and sliding ones. Built-in ironing boards are installed with special fastenings and take up little space. There are beautiful versions of folding ironing boards, made as a picture or mirror – they can decorate the interior of any apartment. Sliding boards are installed inside wardrobes and are taken out on rollers. They are convenient but cost more. 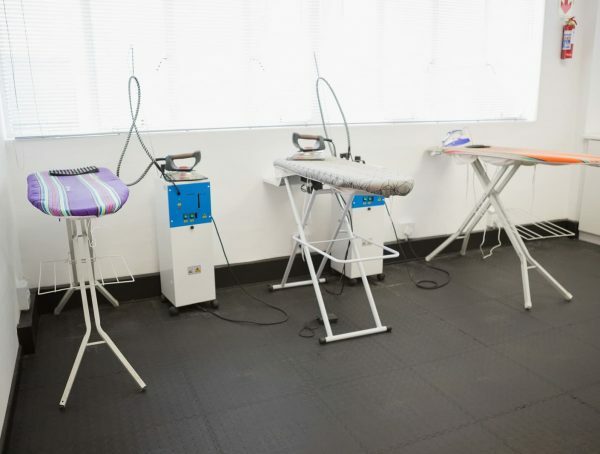 State-of-art professional ironing boards consist of an active ironing board, a steam iron, and a steam generator. They have a function of heating the ironing surface, a descaling system, and a long cord. Adjusting the steam jet intensity and light indicators make the ironing process much easier. Such boards can be used with any fabric, can perfectly iron any clothing, without burning it and make no wrinkles. Professional ironing boards are convenient and of high quality, but they also cost a lot. The weight is very important if an ironing board must be moved even at small distances or unfolded. The recommended weight is no more than 5-10 kg. To make such ironing boards lightweight, manufacturers make their worktops of plywood, wood or metal mesh and perforated. 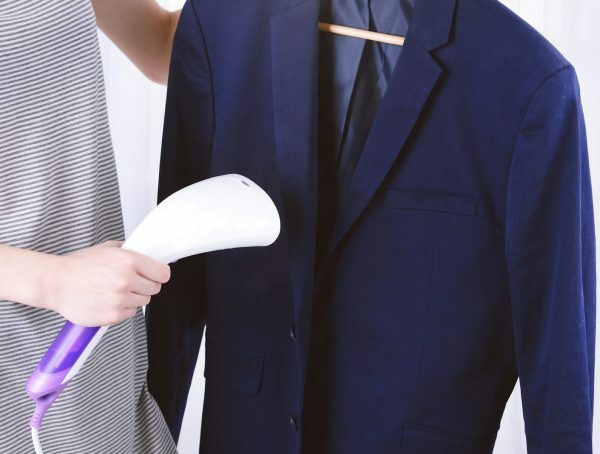 Another way to reduce the ironing board weight is using ultra-light modern materials such as thermoplastics. An ironing board must not sway or flex during ironing or under the iron weight. Some low-cost boards wobble at ironing even on a smooth surface. Steadier boards are those with legs standing wider than the board worktop. Some ironing boards have wooden legs. 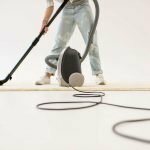 Board legs tipped with rubber, silicone or high-quality plastic do not slide on the floor and not scratch it, as they are tightly and securely fastened. Enamel is a less reliable coating, as it quickly wears off and scratches. Plastic or chrome finishing is more durable. For comfortable use of an ironing board by a person of any height, ironing boards can be adjusted in height. The fixation mechanism can be either smooth or stage one. In the first type, legs slide on the guide and are fixed with a lever or a screw. This allows adjusting the height for the best fit. But in low-cost boards, such a system can become loose over time and the board will be slumping. If you buy a board with a stage fixation, you can be sure of its durability as the legs are inserted into the grooves under the tabletop. The quality of ironing depends on the worktop quality. Low-cost boards are usually made of cheap plywood. Their main advantage is low cost, the disadvantage – short life. The plywood gets deformed over time, and ironing on such board becomes uncomfortable. In earlier days, ironing boards made of chipboard got eventually deformed because of moisture and produced toxic substances. Today, manufacturers process chipboards with a special coating, preventing water penetration and producing phenol and formaldehyde vapors. Such boards are solid, reliable, durable and eco-friendly, but heavy and expensive. All-metal worktops are usually made of steel or aluminum and have a corrosion-resistant coating. They are resistant to deformation, moisture, and steam. Disadvantages of metal worktops are that they weight a lot and do not output steam at ironing. They are more lightweight than all-metal ones and output steam well. The disadvantages are that worktops of poor quality metal flex and there may be traces of the perforation pattern on the clothes. To avoid this, a felt layer is used between the mesh and the cover. The polyester and foam inlays quickly wrinkle and fail. They do not get wet but absorb steam creating the effect of ironing from both sides. This material is lightweight, but durable, water resistant and ironing on such worktop is very comfortable. The worktop covering should be not too soft, nor too rigid for good ironing. It can be lined with polyester, foam rubber, and other materials. The covering should better have non-stick properties and leave no traces on damp things. This is provided by pure cotton, cotton with molleton, cotton-based Teflon fabric or heat-resistant waterproof synthetics with non-stick properties. Cotton with metalized (aluminum) thread or with a felt inlay is also a good option. The first one, besides being non-stick, provides a good heat return for double-sided ironing. While the second one also softens the surface, preventing traces on clothes. Some board cases clean the iron thanks to special dissemination. The synthetic case of a low-cost board may stick to the iron and electrify clothes. It is important that a case can be easily taken off for washing or replacement and is securely attached to the board. We recommend choosing this size for comfortable ironing – the length of 110-120 cm and the width of 30-40 cm. If you often iron bulky items (such as duvet covers, sheets, curtains), choose a board with a larger worktop surface. 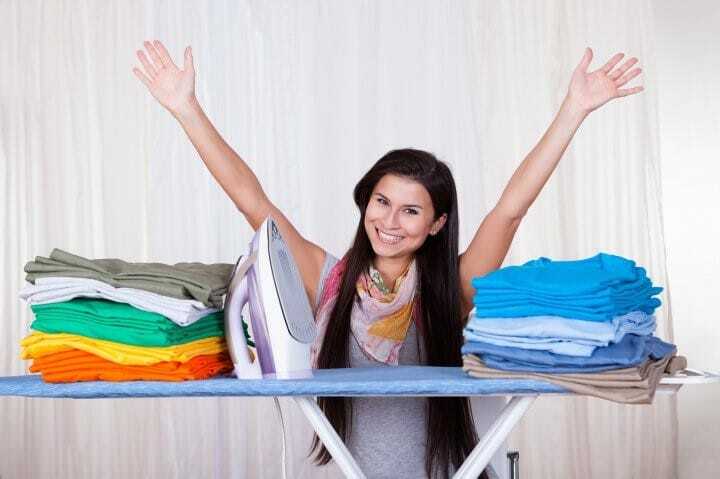 Ironing on a large board is convenient, but it is heavier, more expensive and needs more storage space. One end of the board is usually narrowed for easy ironing of children’s clothes, skirts, and dresses. An iron stand must be made of heat-resistant materials and provide a stable footing of an iron. 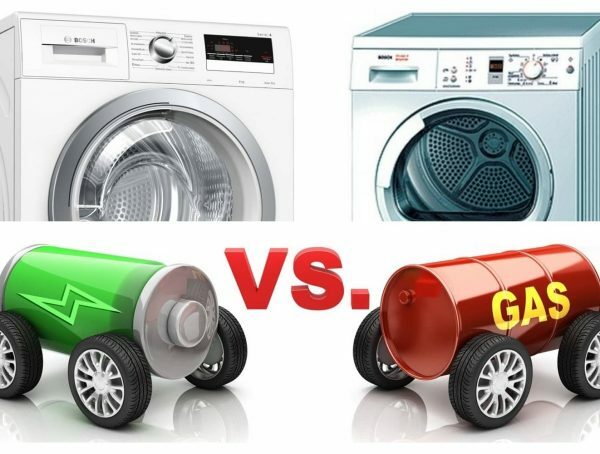 Good options are steel with an aluminum coating or aluminum, plastic with heat-resistant rubber, metal surface with silicone pads that do not scratch the iron. Sleeve (stationary or removable) – it allows ironing not only sleeves but also collar and kids clothes. It is irreplaceable in families where shirts are ironed often. Built-in socket, increasing iron mobility and an additional extension for placing an ironing board far away from the wall outlet. Cord holder – located above the Worktop and preventing the cord from getting under a hot iron, twisting and clinging to the edge of the ironing board. 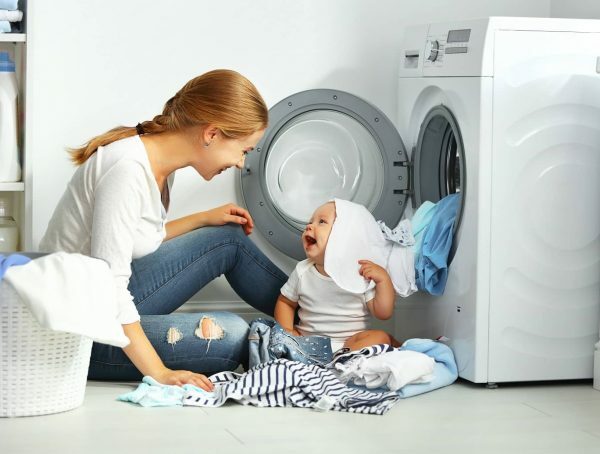 Shelf and bracket for already ironed items or holder for hangers with clothes – they allow folding and hanging ironed items immediately, which makes the ironing faster, especially if there are a lot of clothes. Ironing mesh – for protection of delicate fabrics. Wheels for moving the board. 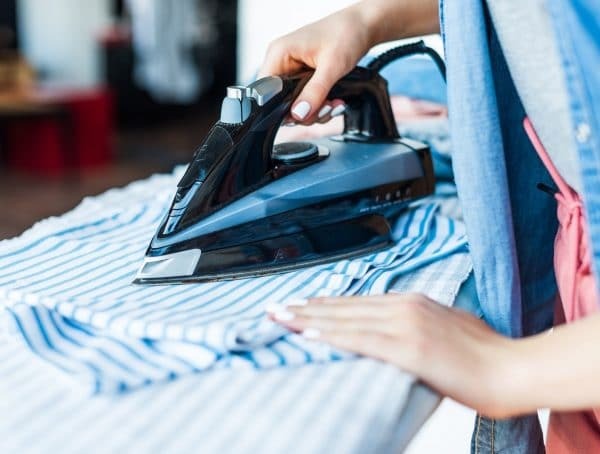 There are ironing boards with a steam absorption function – the ironed items get as dry as possible. The special built-in fan can air clothes in two modes – blowing and suction. In the first case, the air is blown into the cover case and makes it softer, which is important for delicate ironing of thin fabrics. In the second mode, on the contrary, the air is pumped off, the cover case fits the surface tight that allows ironing dense fabrics and make no wrinkles. 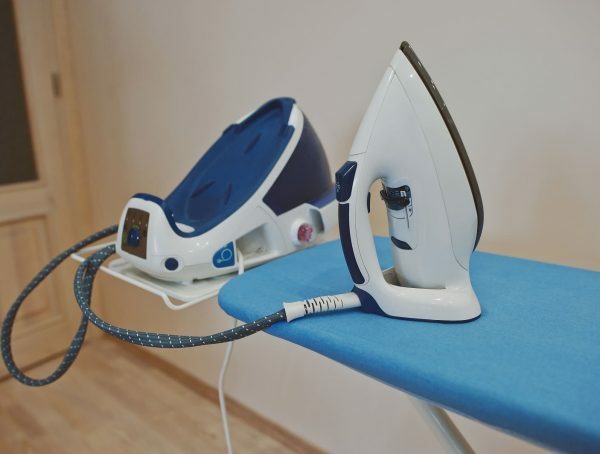 A steam generator may be attached to the steam iron with a hose. 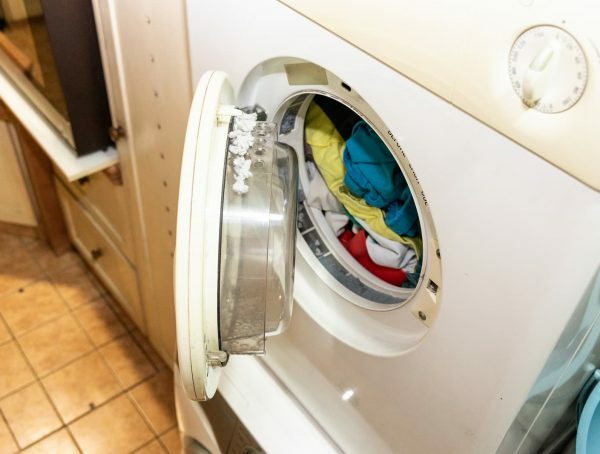 It is attached to the board and used for ironing elastic clothes and fabrics that slide on the board, steaming creases on clothes, cleaning curtains. But don’t forget that all these options make an ironing board heavier and more expensive. Before making a purchase, think carefully about what you really need and what is unnecessary. You can buy a special height adjustable chair for more comfortable ironing. Jim is our staff editor and writer. He has a degree in engineering. His hobbies are radio engineering and new technologies about which he has been writing for more than 7 years.